Forty years ago, on the dusty plains known as the Sea of Tranquility, Neil Armstrong stepped off a lunar module and into the pages of history. That's one small step for man, one giant leap for mankind. Neil Armstrong spoke these words after placing his foot down onto lunar soil, and throughout the course of the Apollo program eleven other astronauts also walked on the Moon. 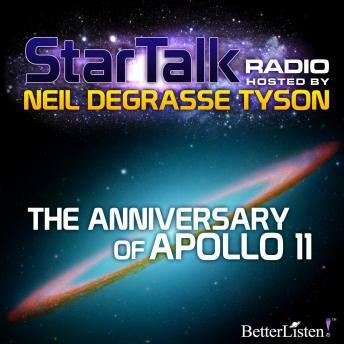 In this show, Neil Armstrong, Buzz Aldrin, and many others share their memories of Apollo, and say what they think should be NASA's next step in space. Terence T. "Tom" Henricks former NASA astronaut. A commander of two Space Shuttle missions and pilot of two others, Henricks became the first person to log over 1,000 hours as a Space Shuttle pilot/commander. His four space shuttle missions were STS-44, STS-55, STS-70 and STS-78.